Truly healthy teeth and gums are more than just a winning smile. Because of the strong link between chronic infection in the mouth and other health conditions, and the known and unknown dangers of xenobiotic substances used in dental treatments, it is vital be proactive in caring for your teeth and gums. In addition, there is no comparison to the costs of conventional dental care versus quality holistic self-care. Xenobiotic substances are non-biocompatible, that is, not recognized by the body and can have major health implications especially immunological. Root canals, mercury, ceramics, cements, sealants, plastics, silicons, implants, etc., can have long-term adverse consequences. As mercury amalgams break down, the mercury can drain down and into the thyroid. It is strongly believed that thyroid disorders and even auto-immune conditions such as Hashimoto’s Disease can be triggered this way. The point of this article is not to delve deeply into dental and oral health problems, rather it is to offer some insight and easy to implement suggestions to improve or at least maintain current levels of dental health. Find yourself a holistic biological dentist. The biological dentist is worth having on your team as they utilize modern advances while minimizing exposure to xenobiotic substances. If you need more than just a checkup/cleaning, you want the best options with the least possible consequences. There are three primary dental diseases: tooth decay, gingivitis and periodontitis. There are diverse causes and multiple types of these conditions. The most widespread and common forms have a similar etiology and therefore similar approaches to resolve. The cause of these diseases is a bacterial infection with acidification from carbohydrate metabolism. 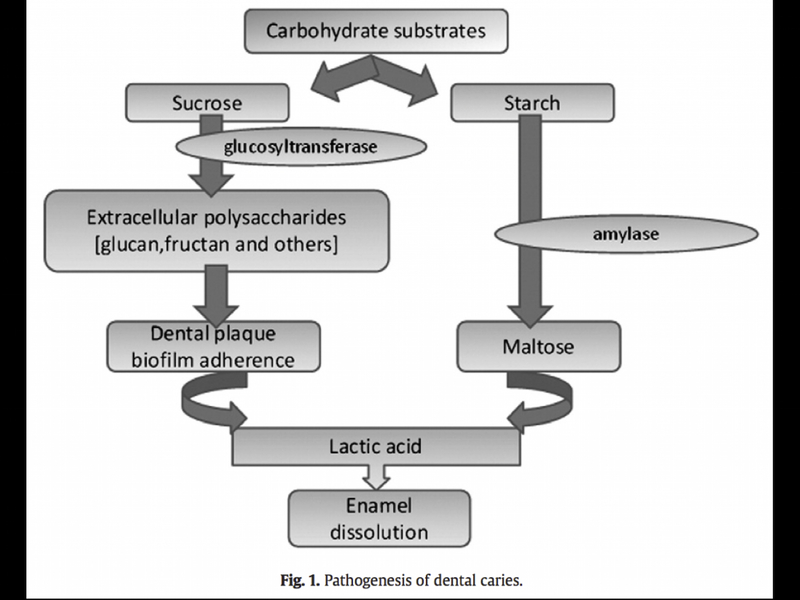 Carbohydrates consumed are broken down into sucrose and starch and acted on by various enzymes which can then become dental plaque, a form of bacterial biofilm. This biofilm along with the presence of sugars creates lactic acid which begins dissolving the enamel. This lactic acid alters the pH of the mouth, further damaging the terrain and weakening your body’s defenses over time making it more conducive to pathogens. The bacteria generally attributed to tooth decay and gingivitis is Streptococcus mutants. 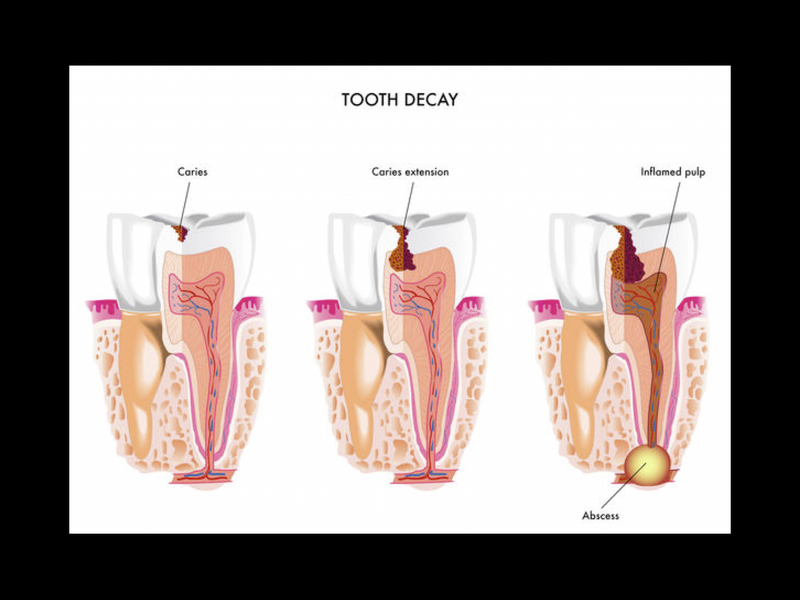 Tooth Decay: The acidification causes the demineralization of the surface structures of the teeth. Minor lesions, or the beginning of dental cavities, can re-mineralize if you apply good oral hygiene, herbal preparations and appropriate nutrition. After a cavity has been established, there is no option other than conventional dentistry. But you do have options as to how the tooth is filled and with what material. Gingivitis: The most common type is plaque-induced and caused by the bacterial biofilm and the immune system’s response to it. There are various types depending on the influence of factors including systemic health, medications and nutrition (or lack of). Some forms of gingivitis are caused by factors other than plaque including other types of infection, trauma and reactions to xenobiotic (foreign) substances. Gingivitis is not destructive and does not alway progress to periodontitis, but periodontitis is always preceded by gingivitis. 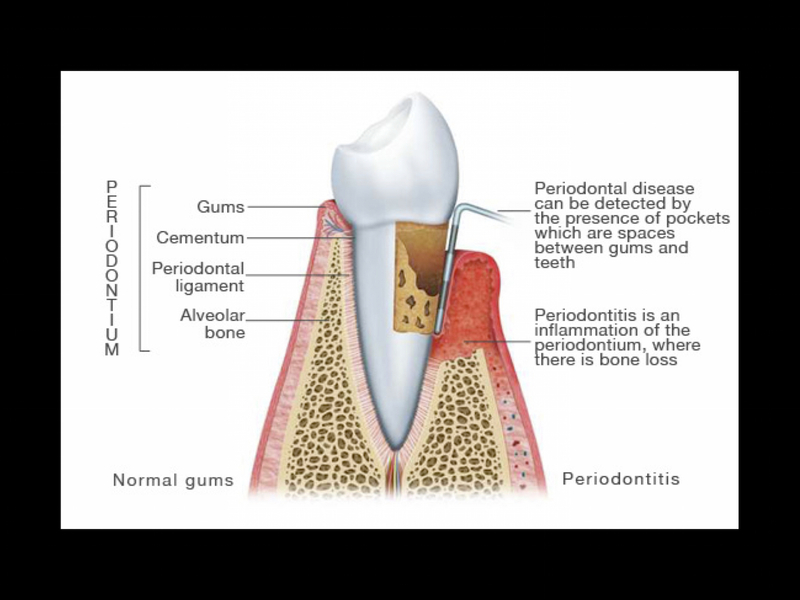 Periodontitis: A group of inflammatory diseases that effect the four tissues of the periodontium (gums, cementum (outer layer of roots of teeth), alveolar bone and periodontal ligaments connecting teeth to the alveolar bone. The etiology is the same as above, just much more severe. To maintain or build healthy teeth and gums you need to regulate the microbial environment of the mouth. If you have good oral/dental health, this is rather easy. If have a poor dental history, I encourage you to dig deeper and involve a holistic biological dentist. My Awaken Your Health FDN® Health Coaching is an excellent complementary program that can offer great insight to take advantage of healing opportunties. Saliva: Maintain a healthy flow of saliva. Gathering saliva in the mouth, swishing it around for a minute of two and then swallowing it is important not only because it activates digestive enzymes but also cleanses the mouth and contains compounds that inhibit bacterial fermentation and acidity that causes inflammation and infection. In other words, as saliva production decreases, acidity levels and demineralization increases. Gathering the Jade Juice: This is a saliva generating qigong exercise done by circling the tongue around the mouth and over the teeth to stimulate saliva flow and allowed to accumulate. Once the mouth is full of saliva it is swished around, cleaning the teeth and gums and releasing more saliva. As this continues the taste of the saliva sweetens and becomes more watery, indicating its parasympathetic origin. Also visualize the saliva is infused with pure silver moonlight that transforms it into a nectar of healing, then it is swallowed. Here is what I have been using since early 2016. The Dirt Trace Mineral Toothbrushing Powder and P2 Probiotic Power “I Clean Your Teeth” oral rinse. The results have been rather impressive, at least that is what my dental hygienist has told me. I get my teeth cleaned every 6 months. Since I have begun using these two products the amount of plaque buildup has been decreasing significantly with each check up. My dental hygienist as of Winter 2017 actually believes I floss on a daily basis. Floss touches my teeth twice a year, during a cleaning and if I get something caught in my teeth and can’t otherwise remove it. All things being equal, these two products have made a significant improvement to the terrain or mucosal environment of my mouth. 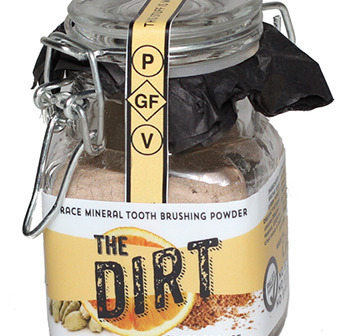 The Dirt Toothbrushing Powder contains trace minerals to remineralize the enamel, the scrubbing action of baking soda, the detoxification of bentonite clay and anti-inflammatory properties of specific herbs with no glycerin or potentially dangerous fluoride. I wrote a review of the product you can find here http://wp.me/p3hWct-cb . You can also advantage of a 15% off your first purchase promotion http://thedirt.refr.cc/NPXLKT4. 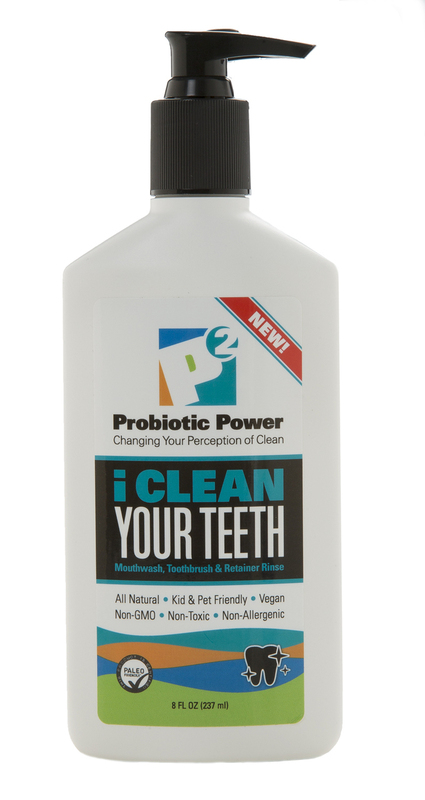 The reason I use the P2 Probiotic Power products is because it has been shown to break down biofilm which is needed to truly clean any surface or environment where bacteria/pathogens may be located. This is especially true of your mouth and kitchen and bathroom surfaces. For oral health, I use two squirts of “I Clean Your Teeth” combined in two ounces of filtered water and use as a mouthwash. I have a review of the P2 products located here http://wp.me/p3hWct-cr . You can visit their website directly through this link http://p2probioticpower.com/#_l_20 . Between these two products we are breaking down biofilm, balancing the pH, cleaning the teeth and exposing them to trace minerals. Combine that with appropriate nutrition (Metabolic Typing@ and real whole food) and you will see results. As noted before, if you have a history of dental challenges, you may have to look deeper to get the results you desire. There exists other products and many herbal formulas which can benefit your teeth and gums. The options above are what I personally use they are simple, effective and readily available. I believe you will find this information helpful as you continue on your journey to build health and vitality. If you are interested in how my Awaken Your Health FDN® Health Coaching Programs may be able to assist you, don’t hesitate to contact me.